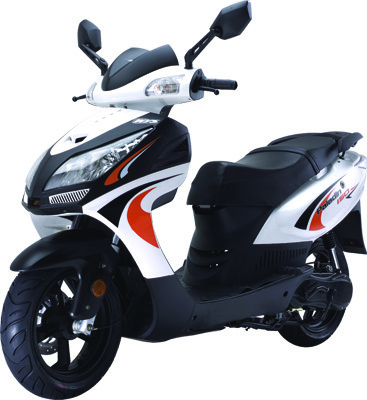 125cc automatic transmission scooter with it's smooth lines, economy and performance to match, the Euro-designed scooter will always stand out from the crowd.Sport scooter sporting wheels and front disc brakes offer great handling and stability. 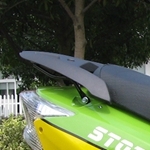 Its comfortable seat accommodates you and a passenger and there's plenty of under seat storage can hold one full-face helmet. 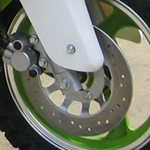 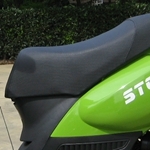 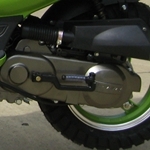 The lightweight design and finely suspension makes the sport scooter easy to manoeuvre in city traffic. 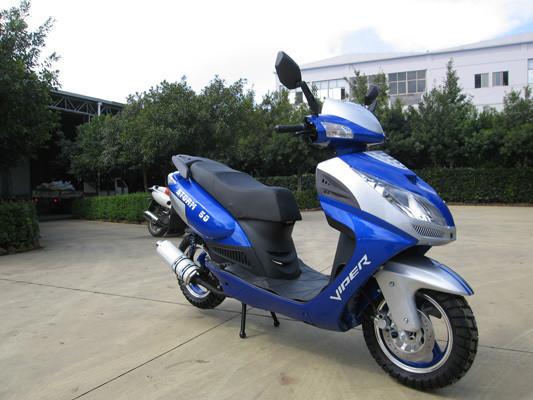 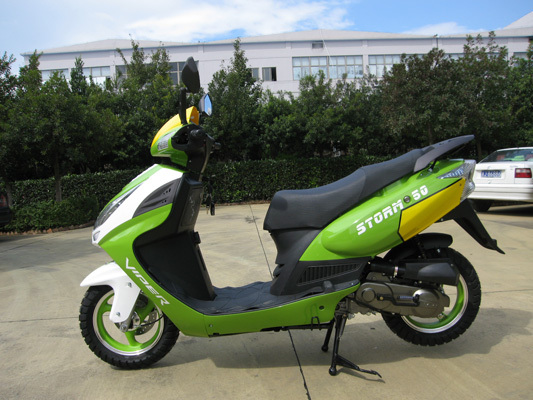 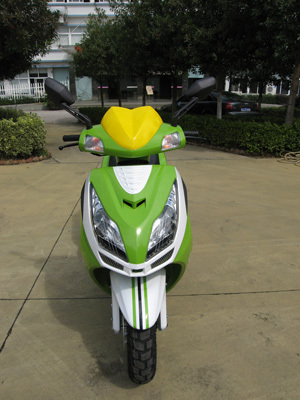 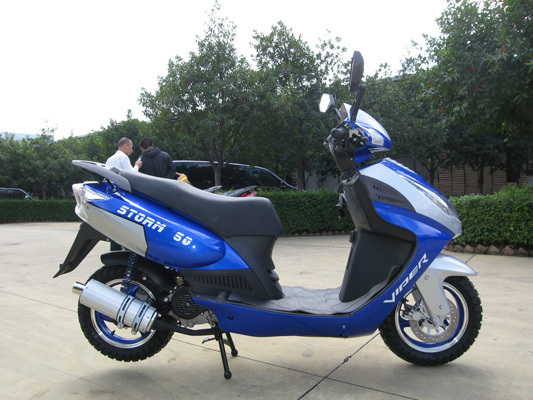 - Sport scooter，125cc, 4-stroke engine with electric start, to the CVT automatic transmission, LUOJIA scooter take you traveling in the city smoothly. 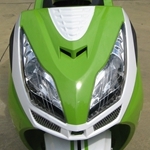 Profected headlights priority with impressive headlight lens uses multi-faceted reflector for high light capability, bringing a feeling of security when operating in darkness. 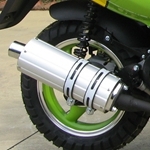 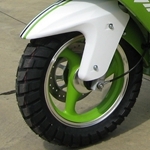 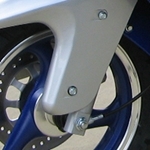 The front suspension telescopic traditional format, with protect cover.